The Marvel Cinematic Universe, or MCU as all the cool kids are calling it, exists in a curious dual state. Within the broader ecosystem of blockbuster cinema, it's a uniquely ambitious attempt to replicate the breadth of storytelling on display in Marvel's comics; a shared fictional world in which dozens of superheroes, gods and aliens coexist and flit between each others' stories. Within its own ecosystem, however, the films are weirdly risk-averse. They conform to a rigid plot structure, they don't make much room for personal expression on the part of the directors - with the notable exceptions of Kenneth Branagh's canted angles in the first Thor and Shane Black's narrative trickery in Iron Man 3 - and they have a uniformity of tone that makes them feel consistent, but rarely surprising. The latest addition to the canon, James Gunn's Guardians of the Galaxy, in some ways feels like Marvel's first step into a larger world, while also reinforcing the notion that, as far as the studio is concerned, formula is king. In a departure from Marvel's usual superhero movies, Guardians of the Galaxy is a full blown space opera, complete with hundreds of distinctly freaky looking aliens, character and place names beginning with high-scoring Scrabble letters, and intergalactic rivalries that span centuries. That stuff serves as the backdrop to introduce Peter Quill, a.k.a. Star-Lord (Chris Pratt), a sort of unscrupulous Indiana Jones who thinks that valuable artifacts belong to whoever will pay for them. On one such expedition, he discovers a metallic ball that everyone in the universe seems very interested in acquiring. 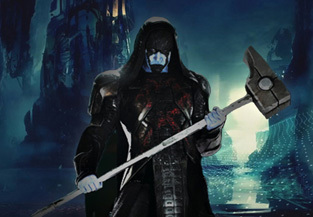 Quill barely escapes the henchmen of Ronan the Accuser (Lee Pace), a fanatical member of the Kree who plans to use the orb to commit terrible atrocities against the people of the planet Xandar, after which he sets off to sell the orb on his own, much to the chagrin of his boss, the space pirate Yondu (Michael Rooker). Ronan sends his assassin Gamora (Zoe Saldana) to track Quill down, while Yondu puts a bounty on his head that draws the attention of Rocket, a genetically modified Raccoon (voiced by Bradley Cooper), and Groot, a sentient tree (voiced by Vin Diesel). Quill, Gamora, Rocket and Groot all wind up in a high-security prison alongside the vengeful warrior Drax (Dave Bautista), and decide to point their separate motivations towards a single goal: selling the orb for a lot of money. Oh, and maybe saving the galaxy in the process. Once the film and its characters reach the aforementioned prison, though, Guardians of the Galaxy suddenly begins to gel. Having all of its characters in one place for a reasonable amount of time gives the gags room to breathe, as well as a better sense of who the characters are and what exactly they hope to get out of selling the orb. It also allows Pratt and Saldana, two immensely fun and charismatic actors, to spark off of each other, and for Rocket and Groot to create a nice dynamic as a sociopathic odd couple. It's also at that point that Drax enters the frame, and Bautista turns out to be the film's actual comic relief; his deadpan literalness makes for some very funny misunderstandings with his companions over their various metaphorical phrases, and makes his horrific threats of violence oddly endearing. After setting up why the team should work together, the sequence culminates in an escape that perfectly balances the mix of frenetic action, glib silliness and adventurousness that it struggled to maintain during its first third. From that point on, Guardians of the Galaxy never lets up, and it becomes a breathless adventure that wonderfully captures the giddy thrill of tearing through a pulpy comic (even with all the new aliens and terminology, it's remarkably accessible - a bonus given how obscure the source material is compared to most Marvel properties) and it gets close to replicating the relentless storytelling of the films it most obviously emulates: Star Wars and Raiders of the Lost Ark (a connection that is specifically referenced in the dialogue when Quill compares the orb to the Ark of the Covenant). The flippant tone proves problematic in the final moments as the film struggles to make the leap from snarky irreverence to actual sentiment. Pratt more or less handles that switch on his own, something that he's proved adept at while working on Parks & Recreation, which proves to be a godsend for the film because everyone around him seems a little flummoxed by the shift in tone. The entire final confrontation with Ronan hinges on his ability to inject silliness into a serious situation, and it's hard to imagine another actor doing it so well. His turn as Star-Lord is the glue that holds the film together since he embodies both its goofy heart and its wide-eyed sense of wonder. Even as he makes jokes about being a space lothario and a hardened scavenger, he puts across an openness that perfectly suits a man who was wrenched from everything he knew at a young age. It makes for an appealing kind of sensitive masculinity that you don't see much in blockbusters, and hopefully he'll continue to apply it as he makes the leap from sitcom MVP to cinematic megastar. Even if it starts awkwardly and half-fumbles its ending, Guardians of the Galaxy never loses sight of the idea that a big summer blockbuster should be fun, and there's a solid hour and a half of its running time that is hugely enjoyable. It winds up feeling closer in spirit to some of Star Wars' funkier derivatives: It has the reluctantly noble outlaw spirit of Firefly (and seems to crib whole scenes and compositions from that film's cinematic spin-off, Serenity), the alien culture clash comedy and wild design of Farscape (Ronan, in particular, has a real Scorpius vibe to him), and the sleek futurism of J.J. Abrams' Star Trek reboot. Both Quill and the film around him comport themselves with a winning mix of arrogance and self-deprecation, and by the end there is a sense that they are genuinely heroic, rather than merely pretending to be. Like The Avengers, it will probably reward repeat viewings that iron out the flaws, and it feels like Marvel's first real hang-out movie. It just so happens that you're hanging out with a talking raccoon and a tree with a limited vocabulary.